Your honeymoon is a special opportunity for you to connect with your new spouse and truly relish in marital bliss. 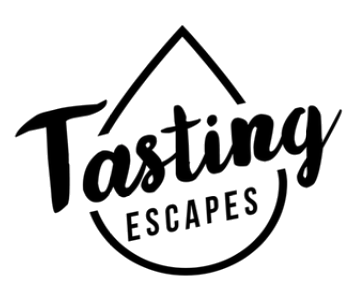 Indulging on a relaxing, adventurous and oh so tasty honeymoon, especially after a few stressful months of planning your wedding is a HUGE reward! With an array of top honeymoon destinations around the world to pick from, Europe is hands down our favorite area when it comes to eating and drinking. 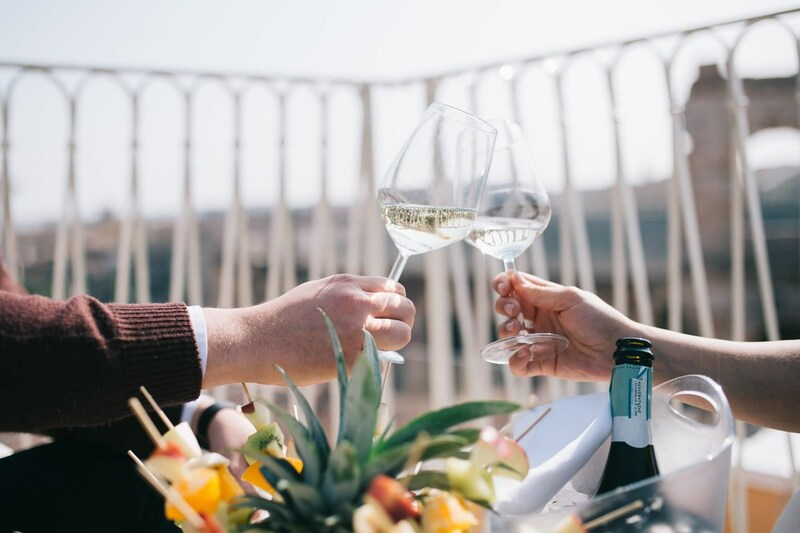 If you are a couple that trying out the local food and wine is high on your priority list for your honeymoon experiences - then take some notes on our top five European Honeymoon Destinations for Food & Drink enthusiasts. The island of Mallorca is a real treat for couples who want to get away from it all and relax and enjoy each other’s company. Crystal clear blue Mediterranean water views on top of romantic hotels, spas that cater to couples, and endless amount of local Spanish restaurant experiences are guaranteed to keep you and your love both extremely satisfied during your honeymoon. Looking to do as the locals do - how about making your own local Mallorquin liquor - Hierbas. Hierbas, is a wildly popular typical Mallorquin liquor made from local sources herbs on the island such as anise. The residents of Mallorca enjoy sitting around a table after a meal and enjoy sipping on homemade Hierbas. Spend an afternoon visiting the old Santa Catalina Market in the center of Palma. At the market, you’ll pick up your supplies for your Spanish cooking class where you will learn some of the Spanish cuisine favorites such as gazpacho, Spanish tortilla, and Mallorcan paella. Plus all the dishes will be paired with delicious Spanish wine. This market visit + cooking experience is perfect for the real foodie couple! Portugal is one of Europe's hottest destinations at the moment and Lisbon, the capital of Portugal is one of the most romantic places to visit in Europe. With a rich history, amazing landscapes, exquisite food and wine and very affordable compared to other European destinations it is currently a hot spot for young couples to explore during their honeymoon. Couples fall in love with the steep and narrow streets of Alfama and the modern and hip neighborhoods along the Tagus River. Lisbon has a ton of amazing must see lookout points. For that stunning city view search for Miradouro das Portas do Sol, Miradouro de Santa Luzia, and Elevador de Santa Justa. After, you can go for a drink or even eat something in downtown Lisbon: Baixa. It’s full of typical restaurants and bars. If you and your love are looking for a fun night out then Bairro Alto, home to some of Lisbon’s most famous restaurants, fado-houses, bars and nightclubs is the neighborhood to be! Granada is the perfect honeymoon destination ideally for the couple that is looking to honeymoon during the Spring or Fall (Granada is a little bit too hot to visit during the summer months … sorry). Granada, located in Andalucia, Spain typically has warm weather (300 + days of sunshine), with a lot of history and culture, beautiful hotels, fabulous restaurants and lots of activities for newlyweds to see and do. Granada truly ticks all the boxes. Driving into the city, you are greeted with the most amazing view of the city with its unique Moorish architecture, silhouetted against the backdrop of the Sierra Nevada Mountains (just wow!). Once in the city, the beautiful Moorish architecture is truly enchanting. The Albaicin neighborhood of Granada is the historic, Arabic quarter of the city - it is a must while exploring Granada. Spend an afternoon You will be enchanted strolling through the whitewashed streets, catch glimpses of the magnificent Alhambra Palace on the opposite hilltop & listen to enthralling local stories about this fascinating 1000-year-old neighborhood which is located in the heart of Granada. Take part in The Moorish Albaicin Tapas Tour in Granada, Spain - after a 1-hour walk downhill, we´ll continue the tour, sampling some delicious typical tapas from Andalucia. You will leave this tour with tons of local tips, anecdotes & useful information about what to see and do in Granada supplied to you by your local guide. Out of all the romantic places in Europe, France definitely stands out. Number four on our list of the most romantic cities to honeymoon in Europe for food and drink lovers is Bordeaux, France. Bubbling with its impeccable rustic charm, Baroque architecture, Art de Vivre and cultural savoir. What’s better than enjoying a glass of world-class Bordeaux wine with your sweetheart while on your honeymoon in Europe? Bordeaux is just 5 and a half hour drive from Paris, and you can choose to spend a dreamy few days of your honeymoon there with your better half here. 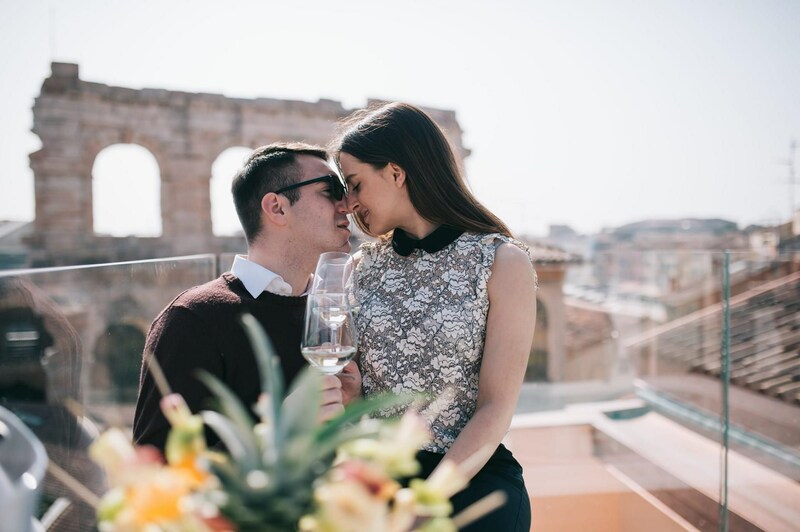 Obviously, we had to include Italy on our list of honeymoon destinations for food and drink lovers and what city could be more romantic than the city of Verona. Verona is also known for being the city of “Romeo and Juliet” - the oldest love story ever known by William Shakespeare. Verona remains the perfect setting for this agonizing romance. Do not miss a visit to Juliet’s house with its famous balcony. Take a walk along the Adige River, view the stupendous buildings, navigate the narrow medieval streets or take in a musical show in the Arena, the largest Roman monument outside of Rome. Verona will provide the perfect romantic setting for a unique and unforgettable honeymoon experience.